Nature created your feet. Your socks should know how. The sole of the foot is cushioned and supported by the anatomically shaped footbed. 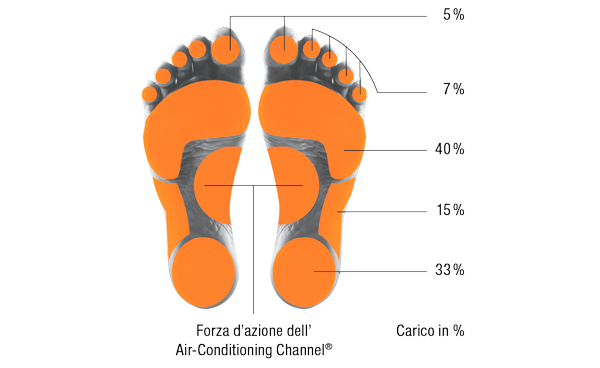 The Air-Conditioning Channel® starts at the foot’s arch and leads out of the shoe. Heat and moisture are continually regulated by the pumping effect which ensures that, with every step, fresh air flows around the foot.